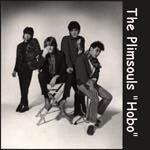 This is the Plimsouls' lone instro single. It was not issued on any album at the time. It comes from the guitar of Peter Case. A dramatic, big guitar melody, with lots of note bending tremolo, and scraping howling sounds augment this larger than life exercise in instromania.